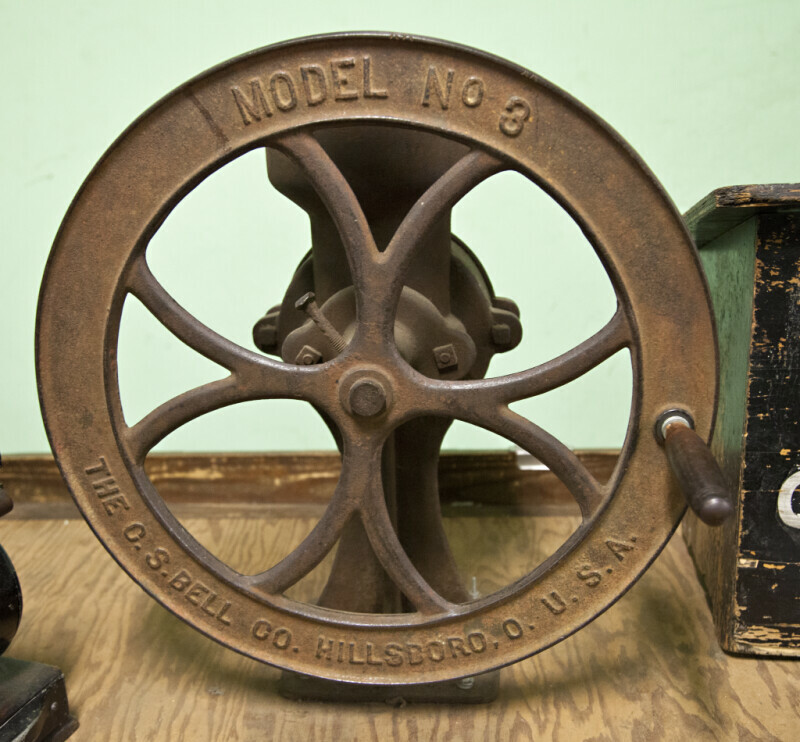 This hand-cranked coffee grinder was manufactured by the O.S. Bell Company of Hillsboro, Ohio. The grinder has a large metal wheel, with curvilinear metal spokes, that is turned to grind the beans.